A unique yacht sales & services company. Services customized to provide a cost-effective and properly maintained yacht. Consulting services enabling our clients to make informed decisions. Management for the executive who places great value on limited leisure time. 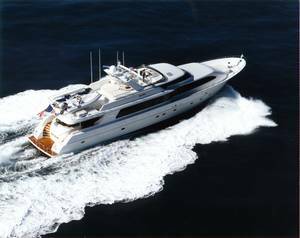 Sales from an efficient and supportive professional yacht brokerage. Specializing in yacht sales for business professionals and the entertainment industry. The Executive's choice, references, inquiries confidential. Please contact our office to discuss yacht brokerage, services, consulting, and management.